The 26-year-old has found the back of the net three times in all competitions for the Reds. Roberto Firmino’s had an eventful week for minutes after scoring against Tottenham Hotspur, he was forced off with a freak eye injury and the Liverpool striker came off the bench to score an injury-time winner against Paris Saint-Germain. The South American’s participation in the midweek game had been a major doubt after an accidental clash with Jan Vertoghen left him with an eye that wasn’t opening, but the 26-year-old swiftly recovered to make the bench for the UEFA Champions League clash. Firmino replaced Daniel Sturridge in the 72nd minute, with the Red holding a 2-1 lead at that moment. Kylian Mbappe equalised for the visitors seven minutes from time and just when it looked like the tie was going to end in a 2-2 draw, Firmino popped up with a special strike to maintain Liverpool’s perfect start to the season. Davids, the iconic Dutch midfielder used to wear similar glasses, although the reasons for his eyewear were different as he had glaucoma. Firmino’s affliction is almost certainly supposed to be a temporary one, with the glasses set to stay on for a couple of weeks, at most. Reds fans will be delighted to know that the former Hoffenheim striker has been given the all-clear and is in contention to start their Premier League clash with Southampton on Saturday (1930 GMT). 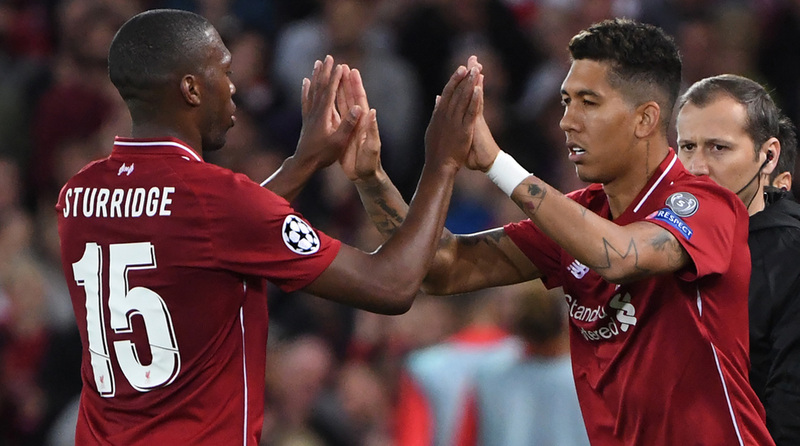 With Daniel Sturridge back among the goals as well, Jurgen Klopp has a bit of a selection dilemma on his hands, but Firmino should be reinstated to the starting lineup for the visit of the Saints.